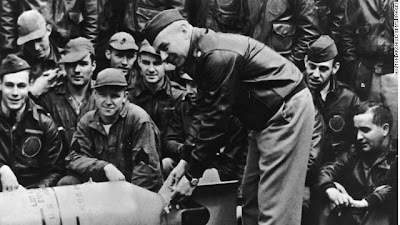 Lt. Col. James Doolittle leans over a bomb on the USS Hornet deck just before his "Raiders" began the bombing raid on Tokyo. 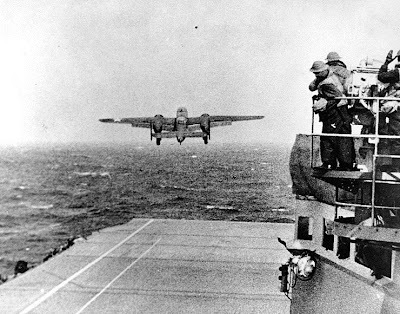 On April 18, 1942 80 men in 16 B-25 medium bombers launched from the USS Hornet and bombed Tokyo in death-defying mission, in retaliation for Pearl Harbor. This past April, the last few remaining Doolittle Raiders met at Fort Walton Beach, Florida. Their custom is to bring a case of 80 goblets to their annual reunions. When a Raider dies a cup is upended. This year, there are four left. They toasted the Raiders with aged cognac. It's the cup of brandy that no one wants to drink. For this years reunion, the surviving Doolittle Raiders gathered publicly for the last time. They once were among the most universally admired and revered men in the United States. In April 1942, they carried out one of the most courageous and heart-stirring military operations in this nation's history. The mere mention of their unit's name, in those years, would bring tears to the eyes of grateful Americans. After Japan's sneak attack on Pearl Harbor, with the United States reeling and wounded, something dramatic was needed to turn the war effort around. Even though there were no friendly airfields close enough to Japan for the United States to launch a retaliation, a daring plan was devised. Sixteen B-25s were modified so that they could take off from the deck of an aircraft carrier. This had never before been tried - sending such big, heavy bombers from a carrier. 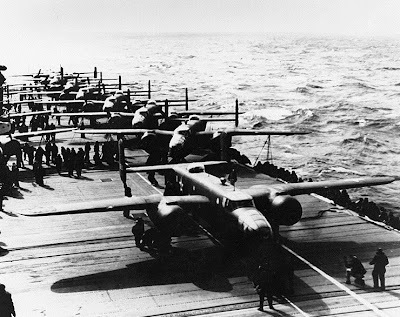 The 16 five-man crews, under the command of Lt. Col. James Doolittle, who himself flew the lead plane off the USS Hornet, knew that they would not be able to return to the carrier. They would have to hit Japan and then hope to make it to China for a safe landing. 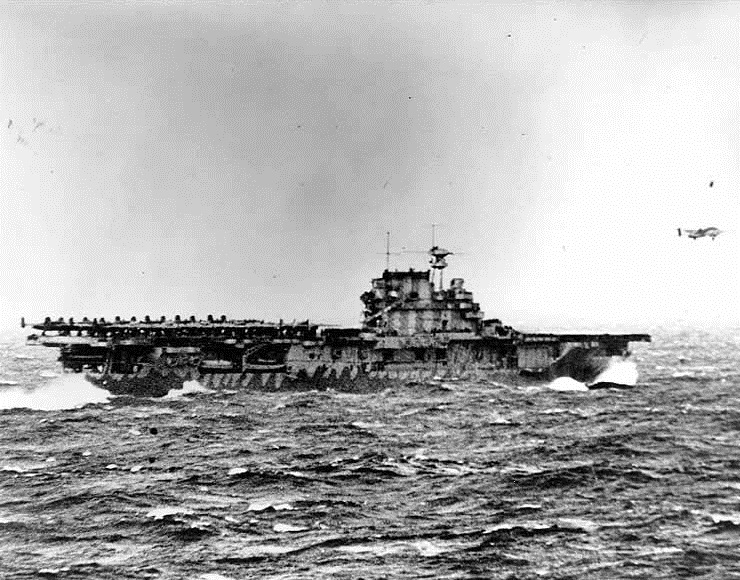 On the day of the raid, the USS Hornet encountered a Japanese fishing craft. 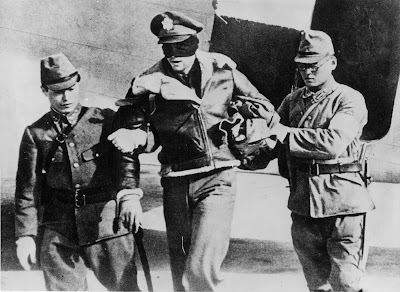 Assuming that the Japanese military would be informed of their presence, the Raiders were told that they would have to take off from much farther out in the Pacific Ocean than planned. They were told that because of this they would not have enough fuel to make it to safety. They bombed Tokyo, then flew as far as they could. 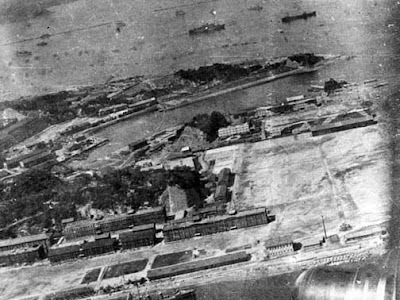 Four planes crash-landed; 11 more crews bailed out, and three of the Raiders died. Eight more were captured; three were executed. Another died of starvation in a Japanese prison camp. One crew made it to Russia. 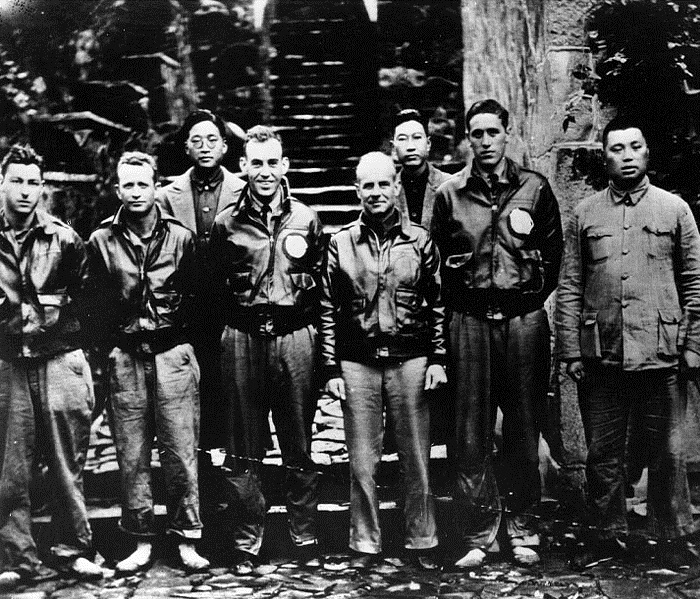 Lt. Col. Dolittle and some of the surviving Raiders in China, following their raid over Tokyo in April, 1942. The events in Fort Walton Beach this past April marked the end. It has come full circle; nearby Eglin Field was where the Raiders trained in secrecy for the Tokyo mission. The town did all they could to honor the men: a six-day celebration of their valor, including luncheons, a dinner and a parade. The men decided that after this final public reunion they will wait until a later date - some time this year - to get together once more, informally and in absolute privacy. That is when they will open the bottle of brandy. The years are flowing by too swiftly now; they are not going to wait until there are only two of them. They will fill the four remaining upturned goblets, and raise them in a toast to those who are gone. While stationed in Japan I picked up an assignment bugling for one of the USMC/USN Honor Guards - I had the honor to bugle "Taps" at some of the former POW camps of American servicemen during World War II at some pretty forsaken places in the Pacific. Realizing that they had been used for slave labor there and that cities and villages still receive water from the dams and reservoirs they built...still makes me pause. I can't help but think I remember that at one of the camps I played at one Memorial Day had been one of the places that some of these men had been kept. The impact of these men has always stuck out to me and been an inspiration to know that one man or even a few men (and even more!) can with a bit of audacity and determination do the impossible and change the fate of the world. They didn't just fly a mission, they did something those planes were never designed to do and nobody knew if it could be done and when in typical military fashion things went awry they went ahead anyways. That foray into Imperial waters by the USS Hornet was a gamble and a half at that stage of the war...we don't get to see or hear about that kind of courage anymore as much as we need to. Truly we must honor them. They is a reason theirs is known as the greatest generation. Sadly we have fallen far from that status. 'Thirty Seconds Over Tokyo' was the first non-fiction book I ever read, in sixth grade. The author, Ted Lawson, lost a leg and all his teeth as result of being thrown through the windscreen when his bomber crashed. What those men endured was incredible, and the nation dishonors them by turning our military into a political plaything. AMERICAN SOLDIER, HELL YEAH ! ! !